Cameron Bloom, his wife Sam and their three boys were a normal, happy family - until a near-fatal fall left Sam paralysed and she sank into a deep depression. But in the darkest days of Sam's struggle a new and unexpected member of the family came into their lives: an injured magpie chick abandoned after she fell from her nest, who became known as Penguin Bloom. The Blooms rescued Penguin, and in return she saved them in ways they could not have imagined. As her damaged little chick grew into a strong and beautiful bird, Sam found a joy and strength of her own. 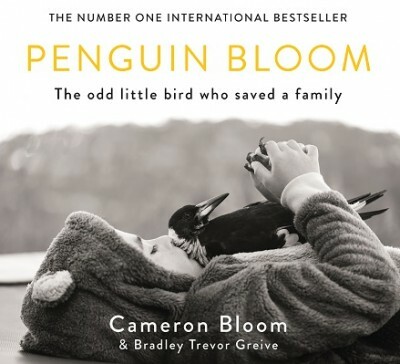 Penguin Bloom is a story of how compassion, friendship and family can come from unexpected places. This plucky little magpie reminds us all that, no matter how lost, fragile or damaged we feel, accepting the love of others and loving them in return will help to make us whole. Real life sad story but very well written. Loved it from beginning to end even if I cried a lot.